DICT 2016 Philippine Startup Challenge Finalists Announced! 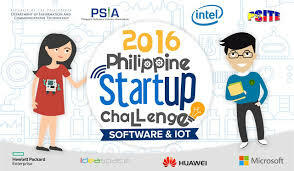 The Finalists in the 2016 edition of the Philippine Startup Challenge has been announced by the Department of Information and Communications Technology (DICT) and the Philippine Software Industry Association (PSIA). The finalists were composed of college students competing in the software and Internet of Things (IoT)tracks of the Philippine Startup Challenge (PSC) which is a competition in digital startups. The competition challenges the Filipino youth to create digital based solutions as well as to establish socially relevant startups that will address the pressing problems of the country. There were 21 teams from the software track and 6 teams from the IoT track that entered the semifinals. The 10 Finalists advanced from there. Part of the competition included coaching gleaned from experience by mentors that provided advice that ranged from business to technical aspects of startups. 1. AgriSenso (Team Agri Senso, Mindanao State University – Iligan Institute of Technology) – An e-commerce platform that connects farmers to bulk buyers. 2. Balay (Team Umali, Saint Louis University) – A mobile and web application that facilitates making arrangements for housing accommodation. 3. Geodetic Pro (GeoTeam, Mindanao State University – Iligan Institute of Technology) – Computerized land survey service. 4. Isla-Bahay (Team Lumay, Siquijor State College) – an-app based homestay locator. 5. Milktrack (Team JuanPiece, Bulacan State University) – Your Safe, Uninterrupted, Resource of Everyday Breastmilk. 6. PharmaSearch (Team Radiant, Caraga State University) – A mobile application that navigates you to the right pharmacy. 7. RentBuddy (Team Hacksptler, University of Cebu) – a property management platform for landlords to connect with their tenants. 8. Sea2Go (A-Team, Ateneo De Davao University) – Fish market in your pocket. 9. Trase Mobile App (Team Trasean, Bulacan State University) – Connecting Trainings and Seminars Providers and Seekers. 10. TutoReal (Team Techplus, Mindanao State University – Iligan Institute of Technology) – a website that provides an avenue for parents and/or students to find their needed tutors in just a click away. 1. AutoGation (Team AutoGation, University of Science and Technology of Southern Philippines) – An automated irrigation system. 2. Find, Inform, Response and Enhance (F.I.R.E) (Team PRO, Gordon College) – An IoT application which quickly identifies a change in temperature, gas leaks and presence of smoke. It will also automatically notify the fire fighter once there is a fire-related disaster that is about to happen. 3. Hushtag (Team Hushtag, Mindanao State University – Iligan Institute of Technology) – A location monitoring device that allows pet owners to easily locate their pets through their smart phones. The Finals phase of the competition will have these finalists make their pitches for their respective startup ideas before a panel of judges composed of the representatives of PSIA, Microsoft (Philippines), Huawei (Philippines), HP Enterprise, Launchgarage and Ideaspace Foundation. The PSC National Finals which will be held on April 21, 20171 in Spring Valley Technology and Innovation Hub Roxas City, Capiz. Techblade will feature the winners as soon as they are announced.